It Time For A GIVEAWAY! I am so humbled and excited by the incredible response of my website and blog (which I’m still adding to as I become more fluent in “computerese”). 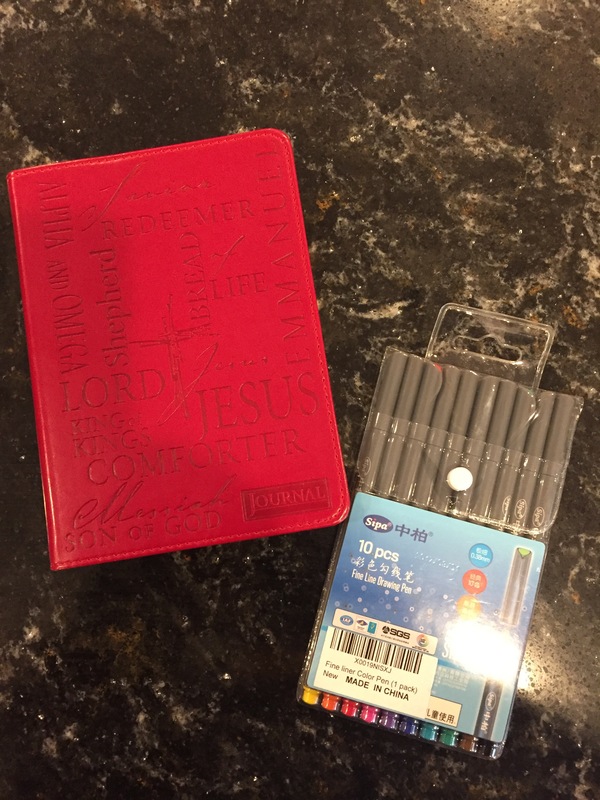 I would like to say Thank You for your encouragement and support by giving away a beautiful new journal and package of colorful pens like I talked about in Bible Study Tips. Just sign up to receive notifications of new blog posts via email by Monday 4:00 PM CST to enter. I will draw name at that time and email the winner to get your address so I can send the journal and pens to you the next day. Blessings!